Ramon Contreras is a freelance SEO and Digital Marketing Consultant based out of Princeton, NJ. 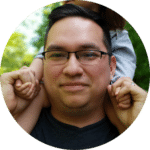 Over the past 8 years Ramon has worked in various roles that focused on a range of digital marketing areas such as Email marketing, Social Media Management, Paid Search, and SEO. While they all varied in skill set each role had the same objective in mind, meet business goals. In the past Ramon have worked in numerous business verticals including; legal, fintech, financial services, home security, medical, vision, and client services. Working with Ramon has been a pleasure. When we worked together he was adamant about keeping me informed and providing great insights and deliverables. Ramon is our SEO secret weapon here at Primer Co, he white-labels all of our clients for us and has done an exceptional job at it. We've been able to prove ROI for all of our clients through pairing Ramon's skillset with our design & development work. It has been an absolute pleasure working with him and I would highly recommend him to anyone looking for SEO help.